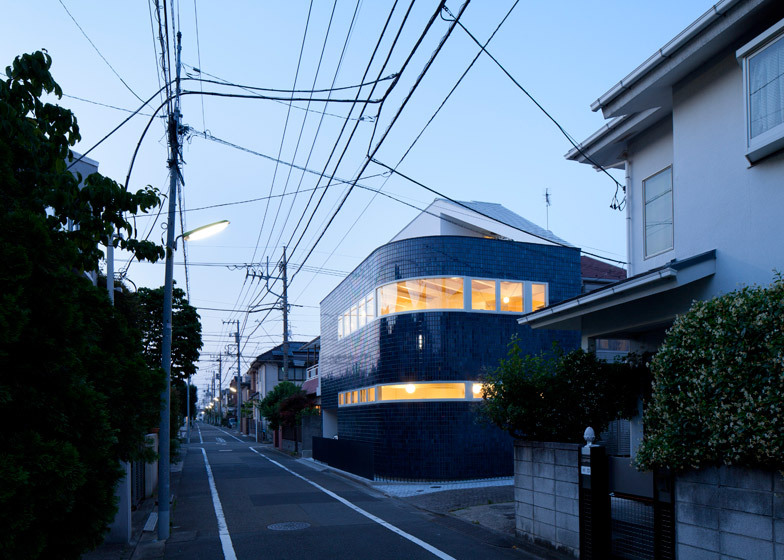 Japanese studio Naf Architect & Design rounded one corner of this Tokyo home to broaden a footpath, then clad the walls in glossy midnight-blue tiles to offer reflections of the streetscape (+ slideshow). 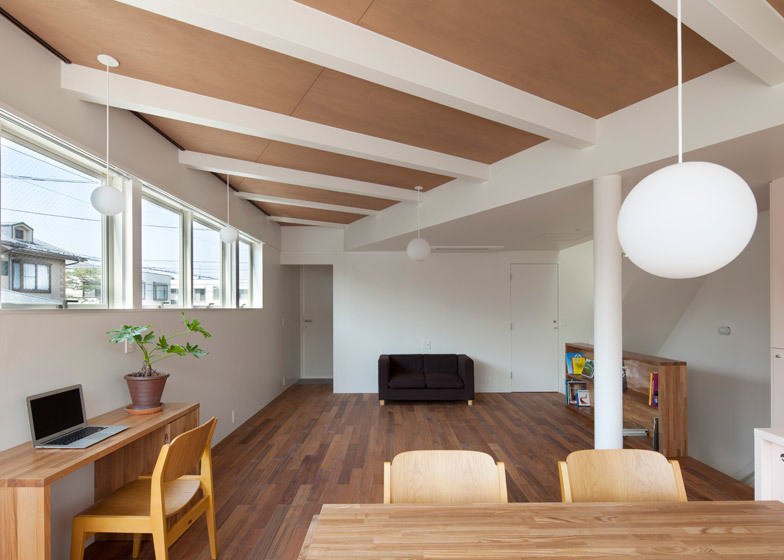 Akio Nakasa of Naf Architect & Design – who also recently completed a pair of houses that stand together to form an arch – planned the two-storey home for a once-empty corner plot in a residential area of Setagaya, a ward in Tokyo. 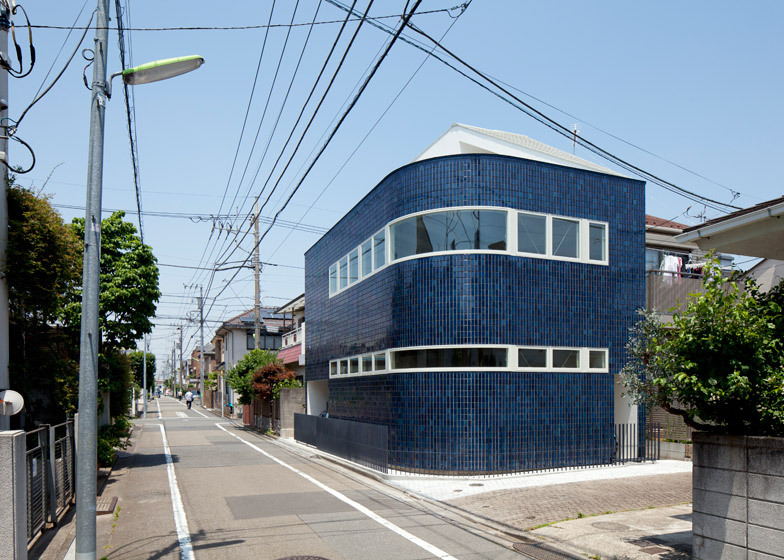 To accommodate pedestrians who were used to cutting the corner of the derelict site on their route along the street, Nakasa designed the house with a curving profile. "When a corner lot is vacant, passers-by would walk into the lot to cut a corner," said Nakasa. "The trail of cutting the corner of the lot seems appropriate to set the merging line of two different houses." 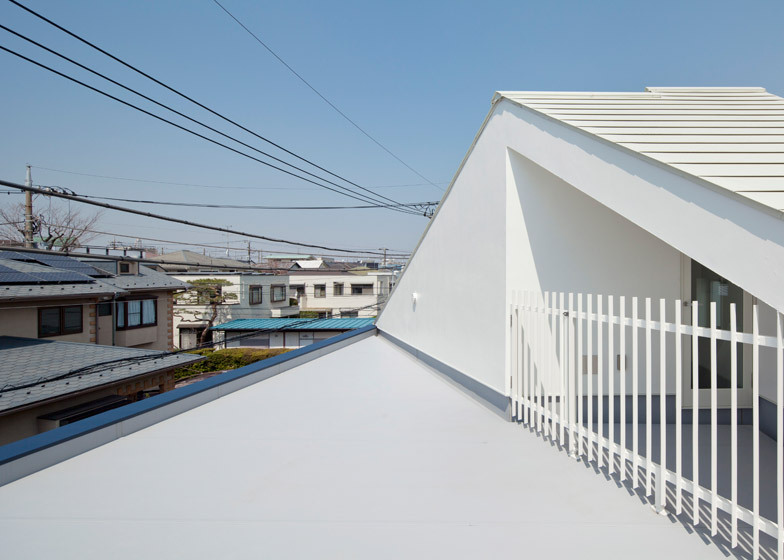 Half & Half House takes its name from its partially flat and partially gabled roofline, which provide a small terrace and an attic respectively. 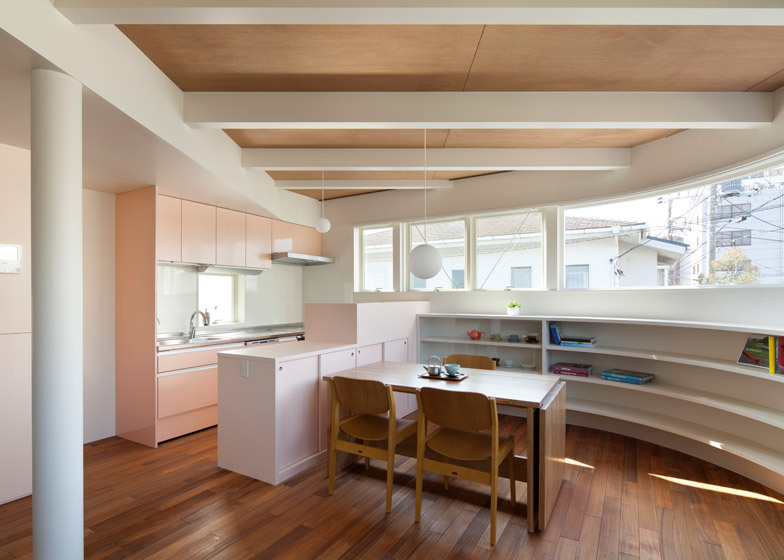 "This house consists of combining two different types of houses," said the architect, who came up with the concept to deal with the site's two contrasting aspects. "The impression you get from the surrounding differs by where you stand in the lot. The outer corner bordering south and east streets is sunny and open, but it feels slightly uneasy, as it is too exposed." 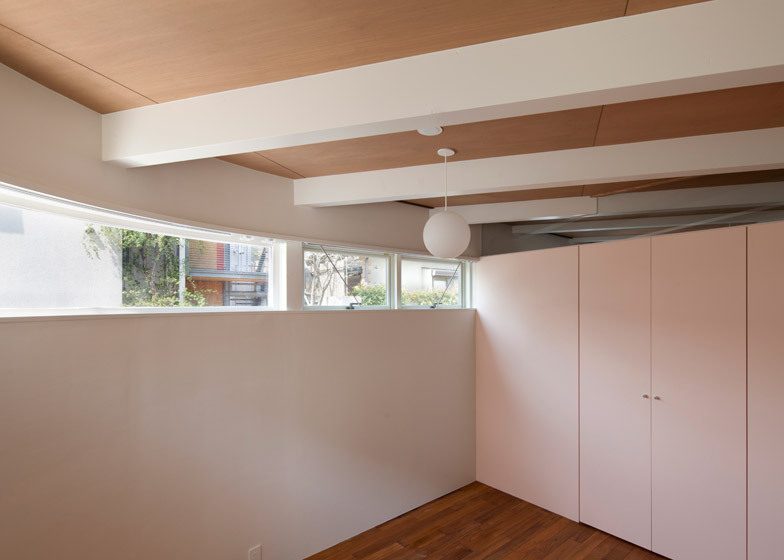 "The inside corner, on the other hand, retreats to the space between the neighbours on north and east who stand close," he said. "It feels secure as it is hidden behind nearing houses but at the same time dark and oppressive." 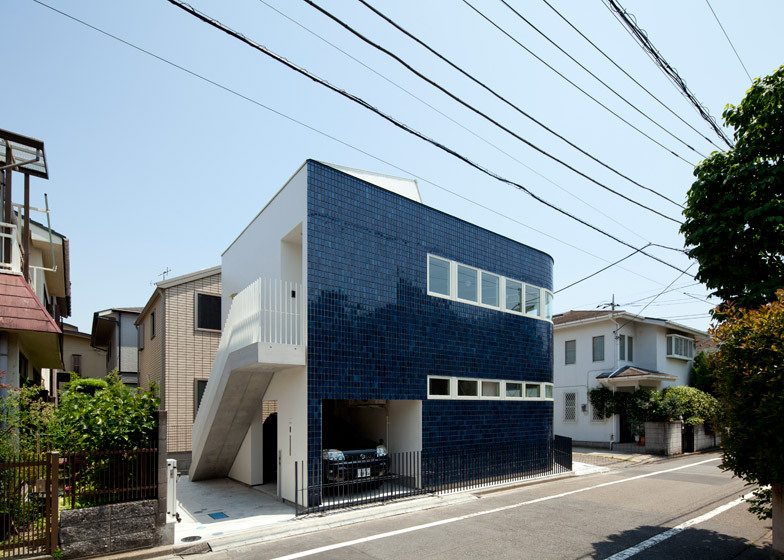 The structure was constructed in wood but clad in shiny ceramic tiles. It features two long windows – one on the ground floor and the other on the first – that bend around the tiled corner. These curving strips of glazing are set at a high level to block views of the interior from passersby. 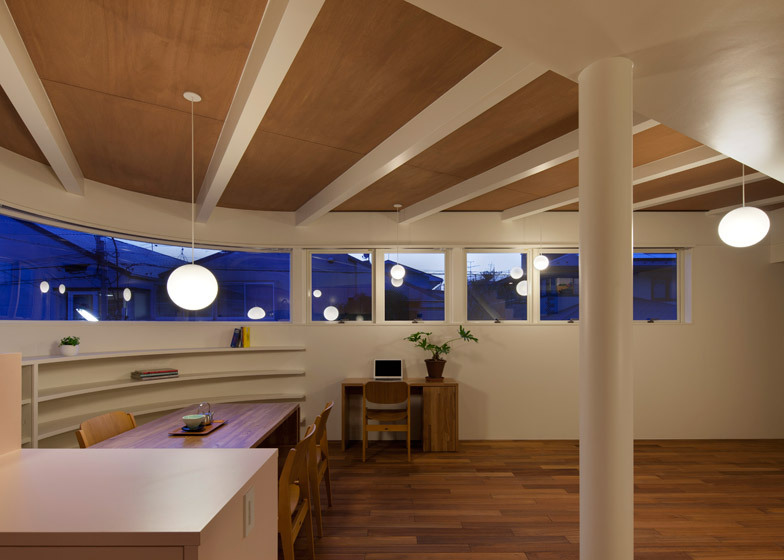 In contrast to the dark, shiny exterior, the interior space features pale wooden ceilings and floors, and matt white walls. 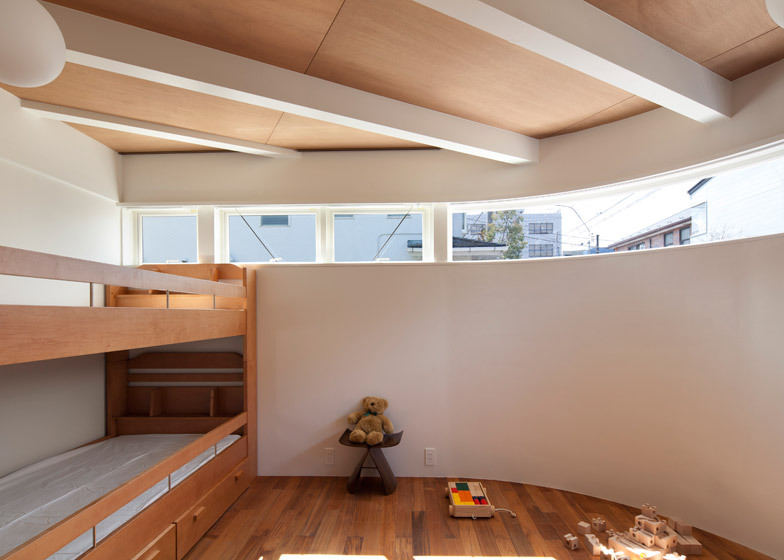 The wooden construction was left bare across the ceilings to maintain maximum head-height over the ground-floor bedrooms, which are located beneath the flat roof on the ground floor. A garage sits to one side of this level. 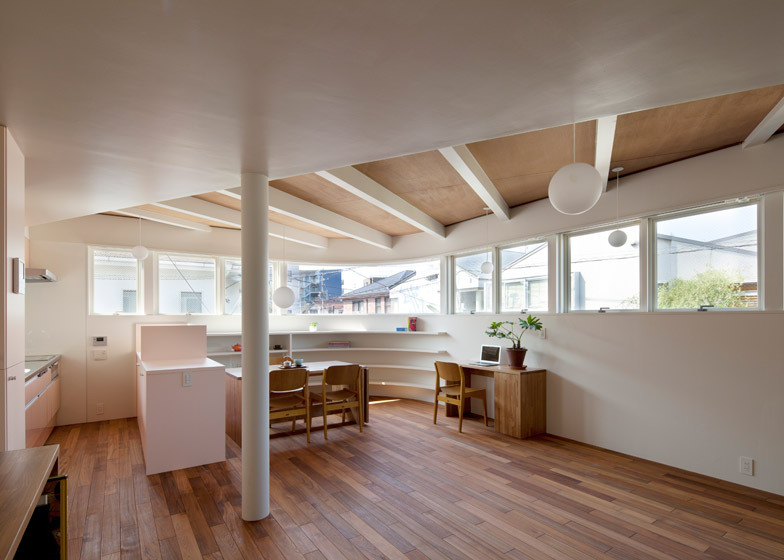 The kitchen, bathrooms and attic storage are situated in the area under the gabled roof, which is finished on the exterior with mortar as a concession to neighbouring buildings. 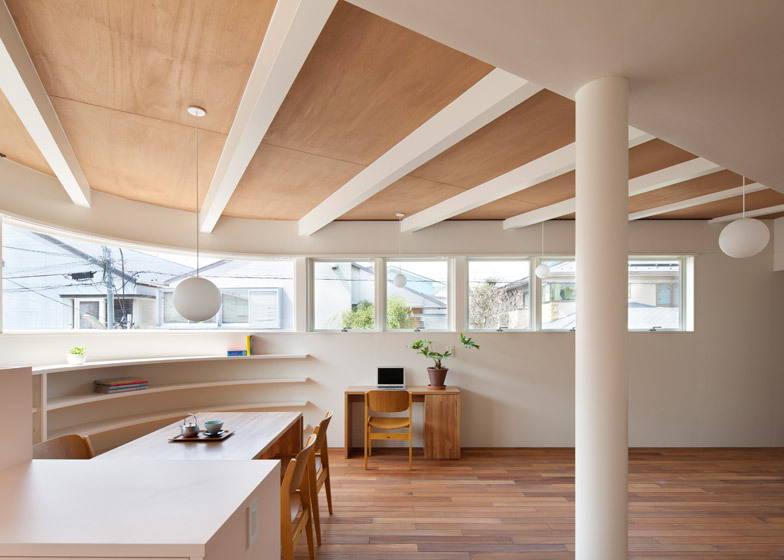 Curving shelving units are built into the bent wall of the combined living and dining room. A metal staircase ascends one side of the building, providing an external route to the upper storey and roof terrace. Photography is by Toshiyuki Yano.